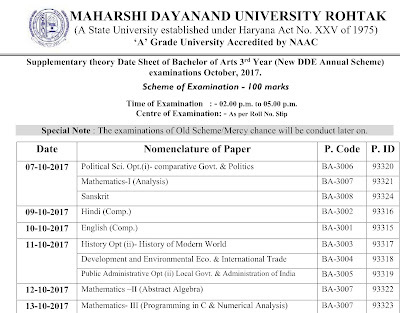 MDU Rohtak Supplementary Theory Date Sheet for B.A. 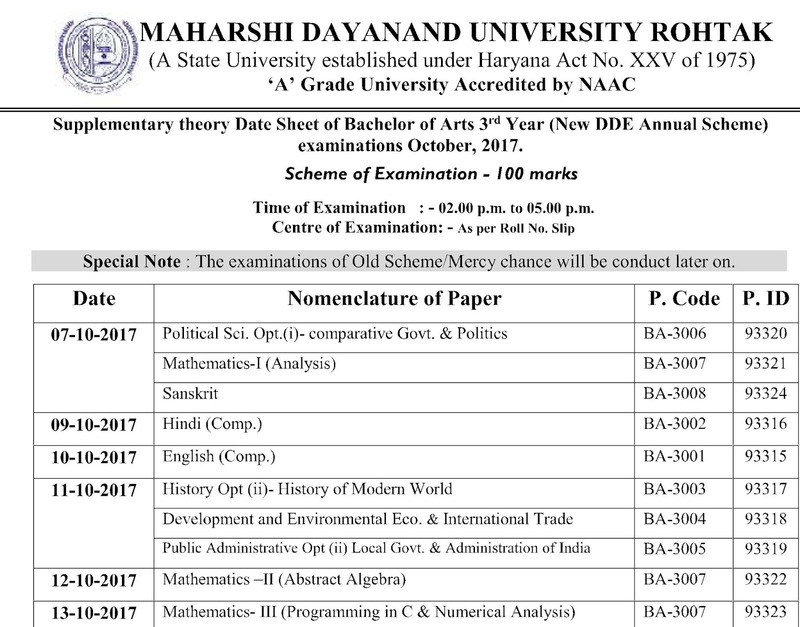 3rd Year (New DDE Annual Scheme) of examinations October, 2017. 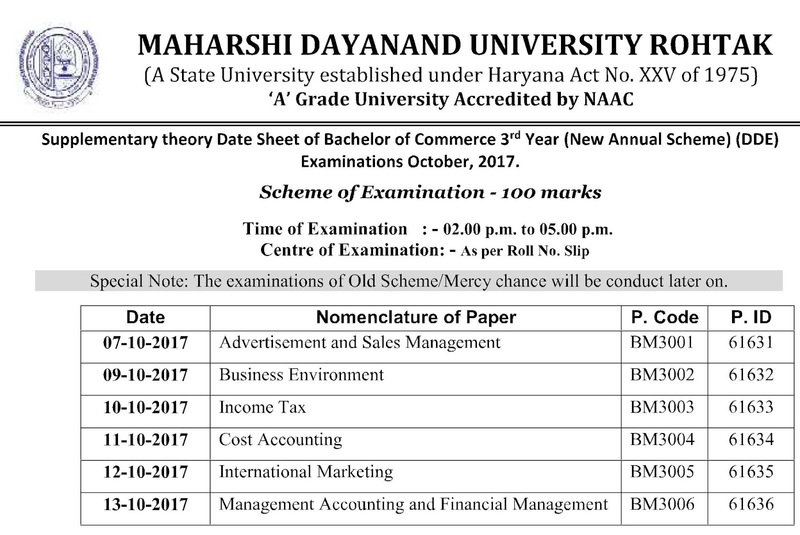 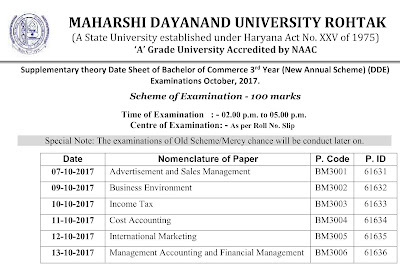 MDU Rohtak Supplementary Theory Date Sheet for B..Com 3rd Year (New DDE Annual Scheme) of examinations October, 2017.